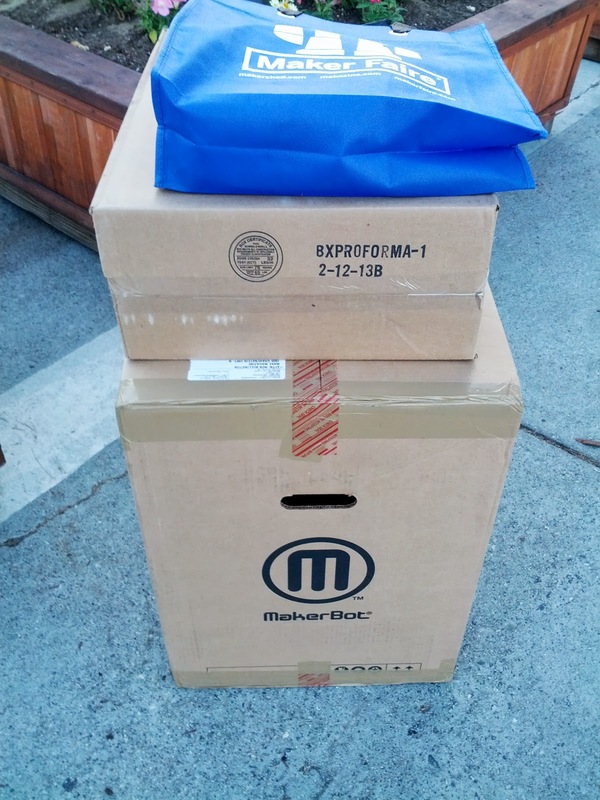 dbclunie: Part 3 - Maker Faire - I Purchased A Makerbot Replicator 2x, Again, and its on its Way! Part 3 - Maker Faire - I Purchased A Makerbot Replicator 2x, Again, and its on its Way! Good News Everyone! So I just talked to my contact, Dominik, at Makerbot, and tomorrow they are shipping me out my new Makerbot Replicator 2x! So I should have it as soon as Friday, but more likely next week sometime. I'll make additional updates with the progress/out come once I receive the 2x and confirm its an actual Replicator 2x, dual extruder! That's when the REAL fun will begin!